If you have any type of health condition that involves inflammation, such as arthritis, sinus problems or blockage of the arteries, the proteolytic enzyme called serrapeptase may be able to help you. 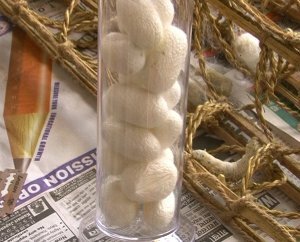 This is an enzyme derived from silkworms, and it has helped people with a surprising number of health problems. It works by dissolving non-living protein and tissue, which can cause harm in the body, and leaving living tissue undisturbed. Best of all, it’s a natural and relatively inexpensive supplement that’s easy to find. Unlike many prescription drugs, it has few reported side effects, so it’s something you can try without putting yourself in any danger. Let’s look at some of the most impressive benefits of serrapeptase. Serrapeptase can be helpful to the human body in a number of ways. Its main benefit is that it reduces inflammation of injuries and illnesses by thinning or dissolving fluids and harmful substances. This facilitates tissue repair, such as after an injury. It can also be useful at reducing pain by preventing the release of pain inducing amines in the body. However, one of the most important properties of serrapeptase is that it can help clear the arteries of dangerous blockages. 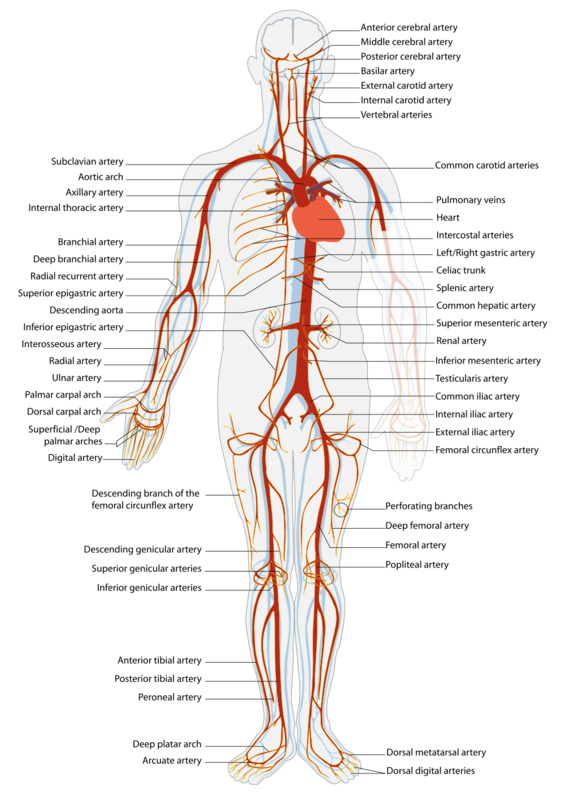 It accomplishes this by removing proteins called fibrin. Taking this enzyme regularly can help eliminate atherosclerotic plaque in the arteries. This makes it a good supplement to take to promote the health of the arteries and heart. One of the most promising potential uses of serrapeptase is to treat people with Alzheimer’s Disease. This is a debilitating disease that affects millions of older people. It not only causes memory loss, but in its advanced phases also symptoms such as loss of bladder control. Although modern medicine considers this to be an incurable disease, some research suggests that serrapeptase may be effective at controlling or even reversing the symptoms. Alzheimer’s Disease is accompanied by something called amyloid plaque in the brain, and this is a substance that serrapeptase is able to dissolve. This means that not only can this enzyme be useful for people who already have Alzheimer’s, but it can also be a good way to prevent it. In addition to the many other health issues that serrapeptase can help with, men with prostate problems may be able to find relief by taking this remarkable enzyme. 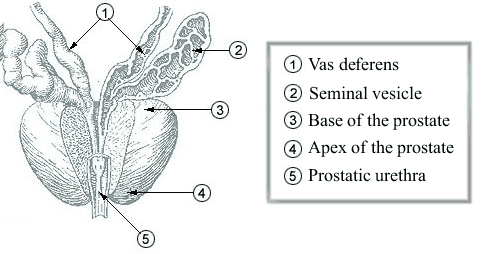 The anti-inflammatory properties of serrapeptase can dissolve blockages in the prostate region. Whether you are a man with a prostate condition or you want to make sure your prostate remains healthy, you may want to take serrapeptase regularly for this purpose. Of course, many factors can affect prostate health, so it’s also a good idea to watch your diet and take other helpful supplements such as saw palmetto. Serrapeptase has the ability to help people heal from dental surgery and jaw related problems. This covers a wide range of possibilities, as many people are in pain after dental surgery. There are also many people who suffer from TMJ (Temporomandibular Joint Disorder), a painful condition that affects the jaw. Serrapeptase can reduce inflammation of the jaw and thus help relieve the pain. However, there are many causes of TMJ, such as jaw clenching and long term injuries, so other therapies may be needed as well. Serrapeptase can play a vital role in helping people recover from dental and jaw related problems. At the very least, it can help reduce any pain you’re experiencing due to inflammation in this part of the body. If you suffer from sinusitis, serrapeptase may be able to help you find relief. Many people have sinus problems of one kind or another, and the symptoms can make you very uncomfortable. Sinus problems are usually caused by the formation of mucus, and serrapeptase is a substance that is very effective at dissolving muccus. Thus, people who have a variety of sinus related problems, including allergies, can benefit from taking serrapeptase. It’s also important, though, to find out the cause of your sinus problem. You may also have to take other actions such as change your diet if you want long term relief. Serrapeptase can help relieve many symptoms that affect the sinuses. Among the many health benefits of serrapeptase, this enzyme may be able to help people find relief from carpal tunnel syndrome. This is now a common ailment as many people have developed inflammation in their wrists and other areas due to spending long hours typing on their computers. Since this is a disease caused by inflammation, it makes sense that an anti-inflammatory substance such as serrapeptase can be beneficial to treat it. Studies indicate that this is actually the case. If you have carpal tunnel syndrome, you should be patient as you may have to take serrapeptase for a month or more before you start noticing any difference. You can also speed up your healing by practicing some therapeutic exercises for carpal tunnel syndrome. Before taking any supplement or medication, you naturally want to be sure it’s safe. Even if a substance is all natural, such as serrapeptase, that doesn’t automatically mean it’s free of side effects. In the case of this supplement, however, it actually is quite safe for most people to take. Pregnant women should not take serrapeptase without consulting with their doctor first. There is also evidence that elderly people who take serrapeptase for a long period of time may experience gastric or digestive symptoms. If you notice any side effects from taking serrapeptase you should stop taking it and consult with your doctor. Serrapeptase is helpful for treating many symptoms and health conditions, due to its anti-inflammatory effects. However, it shouldn’t be regarded as a cure all. You want to make long lasting changes, not simply treat your symptoms. Along with the right lifestyle changes, serrapeptase can be very beneficial for your health. The benefits of serrapeptase that we’ve covered in this article are ones that have been studied by researchers in recent years. This is a supplement that you may want to try, especially if you suffer from any illness or health condition where inflammation plays a part. 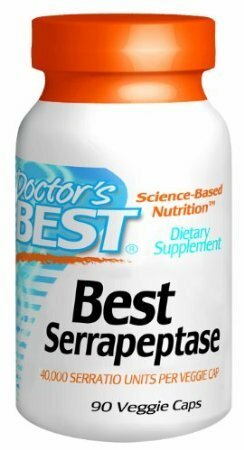 If you do take serrapeptase, make sure you find a reputable company to buy it from so you can be assured of getting the best possible product. I personally purchase “Doctor’s Best” from Amazon. You may want to read these customer reviews, people love it as much as I do. The comments related to this product on the Amazon site are extremely useful and I think future buyers need to read them all. It is certainly a product worth trying, but as a precaution I would consider begining with one capsule per day and increasing slowly depending on reaction to it. I wonder if it is more efficient than virgin coconut oil + aloe vera + turmeric and a healthy diet? This is how I started with it – one capsule before sleeping… then I took 2: one in the morning and one in the late evening. Serrapeptase is VERY effective. It has helped me to stop several fibromyalgia “attacks” in a matter of hours. But without a good diet it would probably not be as fast. I just got mys today and i took two . i hope this help with my tubes that are blocked and been blocked since 2008 and other things like leg cramps and my hands can someone repond please. My Mom suffered horribly from Alzheimer’s. Now I want to do everything possible to avoid getting this disease. 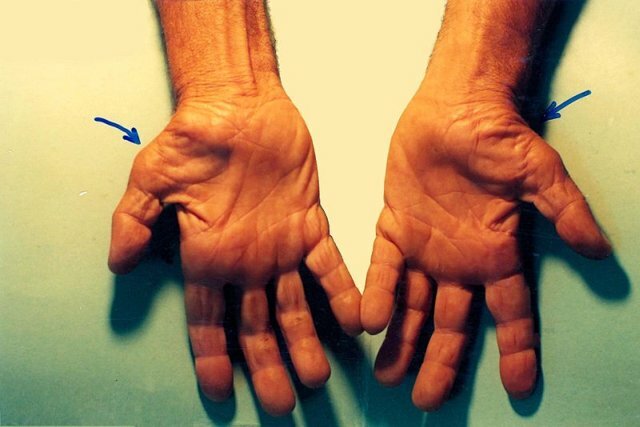 Could someone tell me what the recommended dosage is to treat and/or prevent this disease? I’ve also read that Nattokinase is also very helpful in the treatment of this dreadful disease. Would anyone know what dosage is helpful in treating Alzheimer’s? You need to provide a research reference that serrapeptase dissolves amyloid plaque in the brain.